Learn where to find the piano and sheet music location in Fortnite Battle Royale and complete the season 7 week 2 challenge. 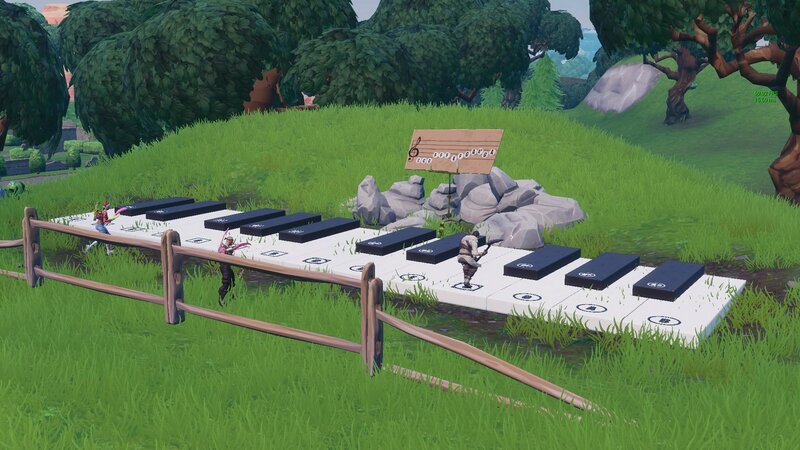 One of the Fortnite season 7 week 2 challenges tasks gamers with finding the location of sheet music and playing it by tickling the ivories on two massive pianos. This task strikes a strong resemblance to a challenge in season 6 that required players to find different sheets of music and then play them at the corresponding piano. Luckily, the sheet music in season 7 is already placed at the same location as the piano, so there’s a lot less searching involved this time around. There are two different pianos that must be played in this challenge. The first is located on top of the mountain west of Pleasant Park, practically in the same spot as it was for season 6. Make your way to the peak and play the song displayed on the music sheet behind the piano. It’s a short song, and also happens to be the the easier of the two to complete. Once done, a tune should play and you’ll be notified that you’ve completed the first part of the challenge. 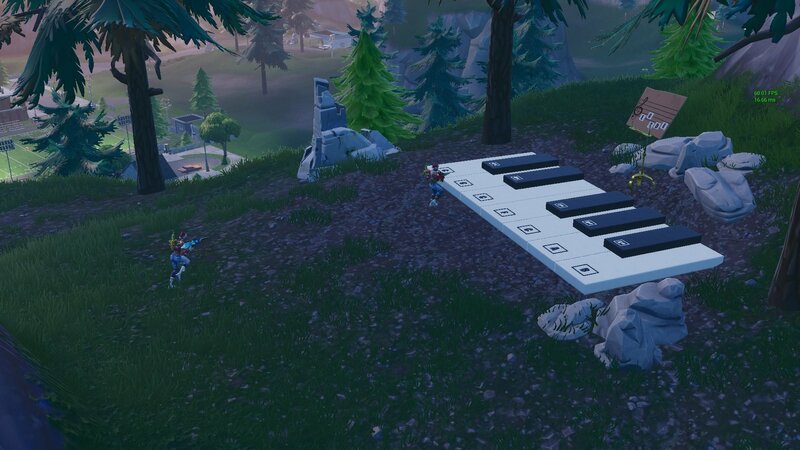 The second piano and sheet music can be found southeast of Lonely Lodge, just a short trip north of the abandoned mansion. Be aware that this song is a little bit longer and more complex than the first. This piano also has more keys, so double check to make sure you’re hitting the correct key in the pattern. After both pianos have been played, you’ll have completed one of the season 7 week 2 challenges. If there’s another player at the piano, consider patiently letting them go first before you make your attempt. If two players try to use the piano at the same time, it’s likely neither of you will complete the challenge. Now that you’ve played the sheet music on the pianos near Pleasant Park and Lonely Lodge, you’re ready to move on to the other challenges that season 7 week 2 of Fortnite has to offer. We suggest reading our guide on the abandoned mansion dance off location. For more great coverage of Epic Games' hit battle royale title, be sure to bookmark Shacknews’ Fortnite home page.